appreciate the reply ! will definitely get it checked by Renotech or someone with knowledge of these cars. leftover warranty would come in handy although i feel it it may be with the old 3 year period. 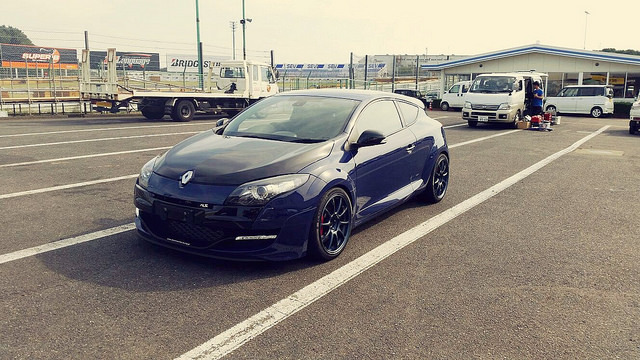 this car was spotted in japan and sat on rays ze40s which looked menacing. a particular look i want to replicate. Hi Guys, my name is Minh and i'm from Western Sydney. I joined up to the forum to get more knowledge on these awesome Megane RS cars as i'm looking to upgrade from my Nissan 180sx (have 2 of them, 1 being a dedicated track car). The criteria for the new car was simple, to have something that offered a raw driving experience in a new platform (2012 onwards). Last week i decided to take a break from work and hired a brand new Megane RS275 Cup from hertz. I took the car to the blue mountains and raked in 700 klms over 4 days. Reflecting on the drive, i am truly impressed by how great of a platform these cars are in stock form. 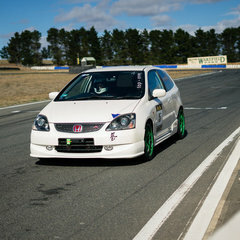 The car reminded me of a Honda DC2R in the way it steered so eagerly. Around town it was rough and tiresome to work all those gears, but drive it hard like the type R and the thing just turns into an animal. I'm looking particularly at the Megane RS265 RB8 as the colour is just wicked in person and has pretty much all the options i wanted. There is a particular RB8 on carsales which has been there for a while with very low klms. I was wondering if anyone here has any details on it ? or has inspected it ? Really after a car that has been well looked after. Will be looking to buy an RS after the track season is over (didn't enjoy extreme summer track days). thanks !